Does you suffer from a sugar addiction? Do you feel drawn to sweets all the time - even if you’re not hungry, you just instinctively reach for a sweet snack? Are you relying on sugar and caffeine for a pick-me-up just to make it through the day? Are you struggling with cravings, crashes, fatigue, and unwanted weight gain? Get Your 7-Day Sugar Cleanse Challenge! 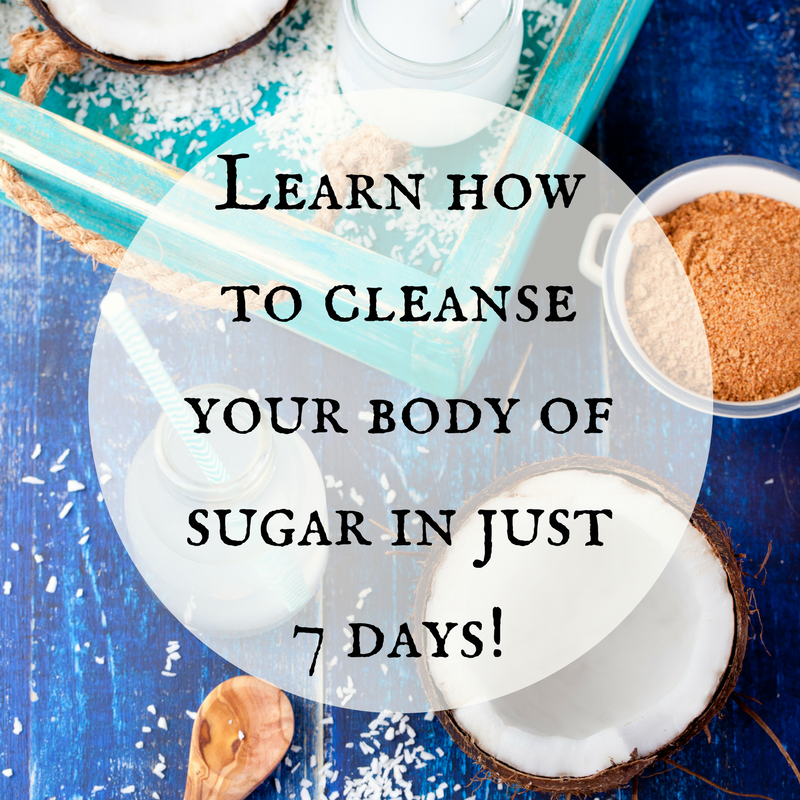 By taking the 7-Day Sugar Cleanse, you can feel energetic, experience a better mood, and have increased focus! In just 7 days! For only $22, get your one week sugar cleanse --and get bonus discount to continue on to the full 6 week program. That means this 7 day cleanse will be free if you wish to continue past your one week! I find that most people say yes to these questions but can also find the idea of going off sugar daunting. I know it was for me at first! So to help with that I put together a one week sugar cleanse so that you can experience that it isn't as hard as you think it is! Wouldn’t it be amazing to feel energetic, healthy, and free of cravings all the time? Wouldn’t you love to lose the unwanted pounds that are weighing you down but you can’t seem to shake? Wouldn’t it be great to not have to deal with energy spikes and crashes or a dependency on sugar just to get through the day? Sugar is more addictive than any drug on the black market, and it’s hiding in foods that are considered healthy. It may seem impossible to kick the sugar addiction, but I can assure you, there’s hope! Get everything you need in this 7 Day Sugar Cleanse to give your body a well deserved break from sugar.